Posted by: Gaminvest Company Ltd. 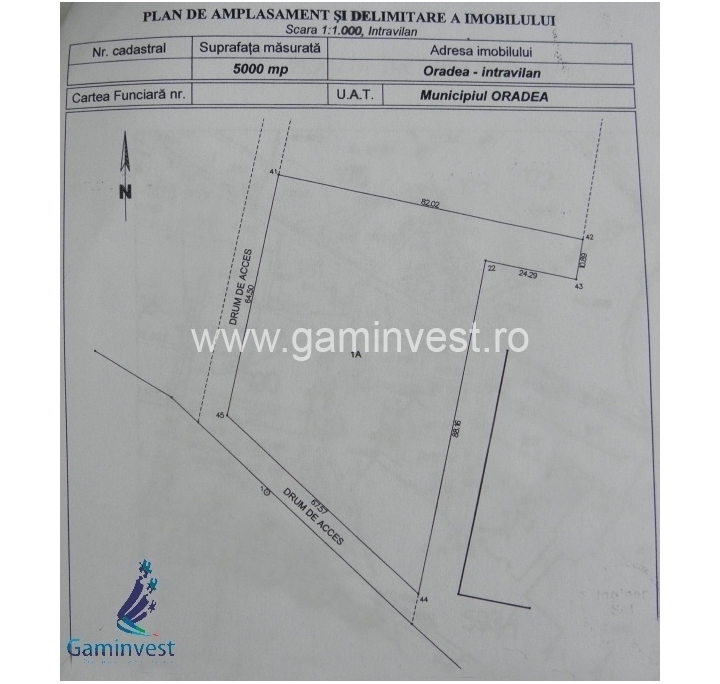 The land area of 5000 sqm is located right side of the main Oradea to Bors road, there is access road (front) on 2 sides 64.5 m and 67.57 m. The utilities are nearby (electricity, water). Sale price proposed by owners: 15 euros / sqm. The agency does not charge commission from the owner. This property is located in: Grosswardein, Nagy-Varad, Nagyvarad, OMR, Oradea, Oradea-Mare, Oradja, Varadinum, Velky Varadin, ao la di ya, oladea, oradea, orateya, varadinum (Bihor, Romania). I am interested in other Land for Development from Romania. -->> More Real Estate Listings Posted by Gaminvest Company Ltd.